HLB Sheehan Quinn provide quality taxation, accountancy and business advice to ambitious businesses. 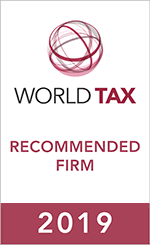 The firm provides a full suite of tax consultancy services including corporate restructuring, M&A, international employee mobility, due diligence, VAT, as well as a complete range of compliance services. HLB Sheehan Quinn have established international helpdesks for the UK, USA and Asia, to assist clients with any international queries they may have.